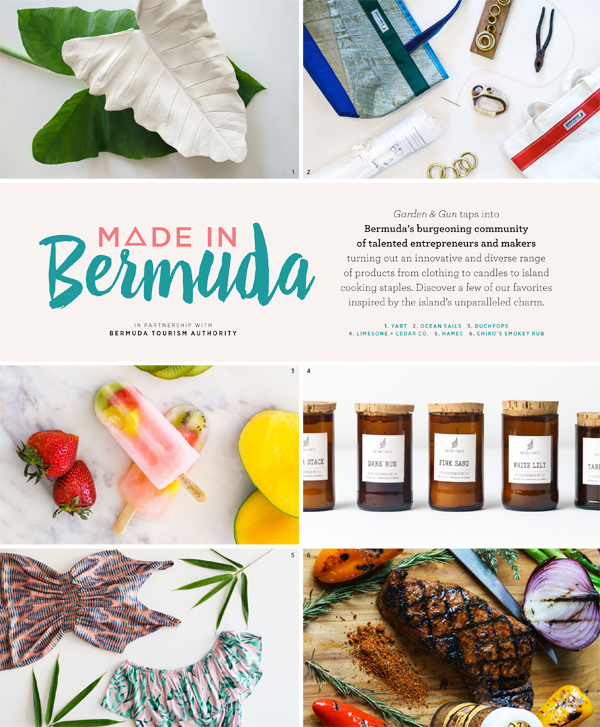 A partnership between the Bermuda Tourism Authority and Garden & Gun magazine cast a publicity spotlight on some of the island’s creative minds. 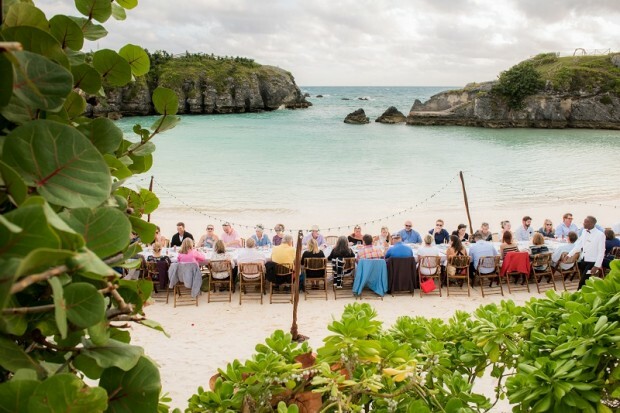 Nina Froncioni of Limestone + Cedar Co.
“The innovation and spirit of Bermuda’s creative minds is an excellent platform for conveying Bermuda’s distinct vibe and way of life,” said Bermuda Tourism Authority Chief Sales and Marketing Officer Victoria Isley. “Garden & Gun is known nationwide in the United States, however it focuses on the modern lives of affluent Southerners who enjoy the outdoors. Its content primarily covers the twelve Southern states and the Caribbean,” the BTA explained. In the coverage, readers are educated on how they can purchase any of the local products online or when they visit the island. 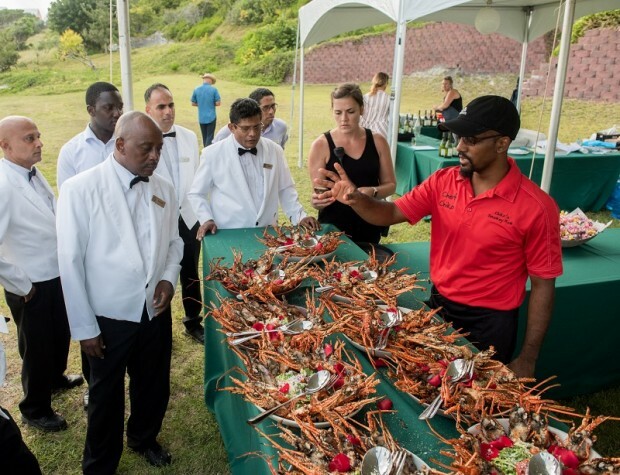 In another element of the annual partnership, Chef Campbell was one of several local chefs working with Garden & Gun and the Bermuda Tourism Authority as they hosted a spectacular farm- and sea-to-table dinner in partnership with Outstanding in the Field. In October, more than 100 Garden & Gun readers and Outstanding in the Field followers bought vacation packages to Bermuda for a weekend which included the dinner at a secluded cove at the Hamilton Princess Beach Club. The sold-out event also featured dishes prepared by Kamilah Cannonier of Sweet Sak Bakery and Danai Hongwanishkul, the executive chef from Marcus’. Culinary elements showcased Bermy Fresh, Windy Bank Farm, Wadson’s Farm, Pop and Sons Honey, the Blind Pig and Goslings Rum. Dance and musical performances by Gombey Troupe Evolution and Raven Baksh were also featured. A similar Outstanding in the Field dinner at Chaplin Bay also sold-out in 2017. 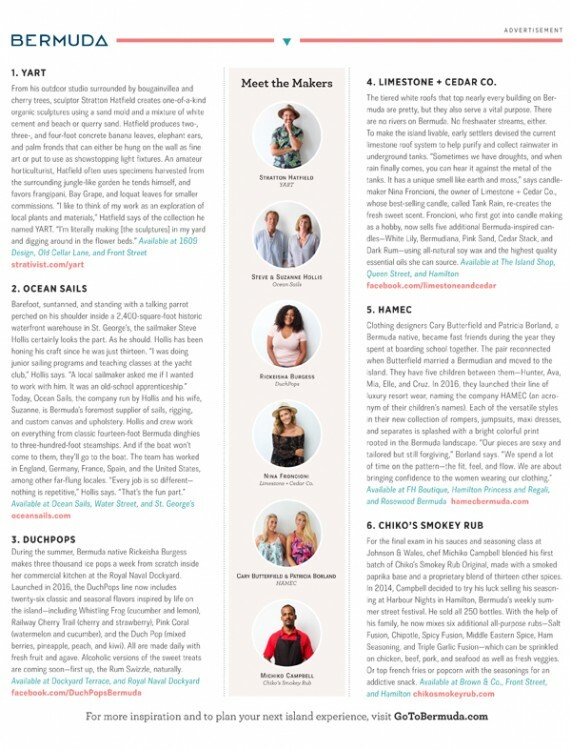 “The Garden & Gun coverage helps my small business reach new clients and customers,” said Chef Michiko Campbell.